I have a smith1911e in stainless. I like them visually.they look great but recently got to try a dw/vz grip shooting a hotter 10mm round. The grip was aggressive but didnt hurt when shooting.looks awful.functionally great. I'd like to take a class of 800 rounds and see how I feel about them as I only shot 50 at a time. But I was wondering if there is a favorite among ingo. I agree I love the redish e series grips just would like them more aggressive like the vz grips.guess I should shoot a few hundred on the vz grips before switching the e series to a vz type g10 grip. I have three 1911's with VZ grips. Two have the Operator model, and one the Slant. I prefer the Operator grips, and yes, they are aggressive. Two of these pistols are in 10mm and one is 45 ACP. My color preference is the black desert tan and black gray, but to each his own. VZ's have some really nice offerings. These dark ones might look good on stainless.....They are aggressive enough. These are slick if you are in tune with your feminine side. This is my daughters. Same grips as the 1st pic but on a stainless. Those are some nice grips. How well do you like the supercut. Seems like you got a few. Would you put it on a carry gun? Iwb. I have them on both my 1911 carry pieces. I love the super cut. Especially thumbs downrange grip. I carry in a Serpa. 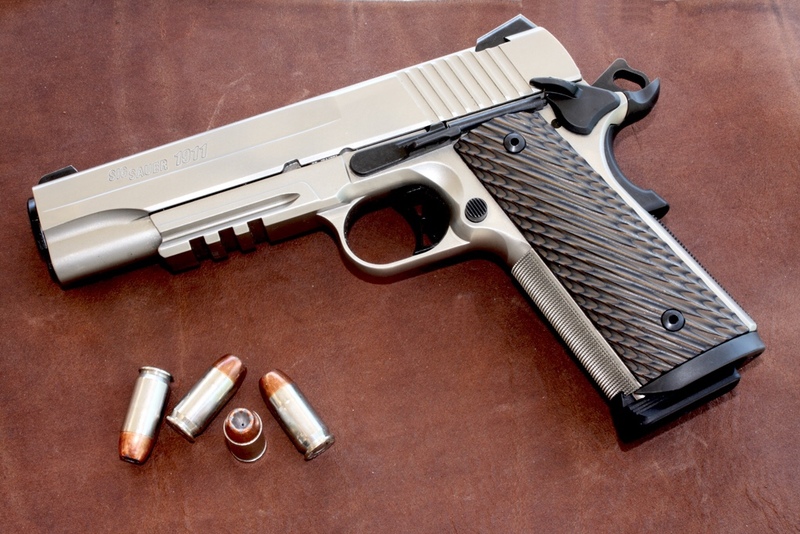 For looks, I like a traditional walnut double diamond on a stainless 1911. For functionality, I like G10 grips. The one’s below are among my favorite.